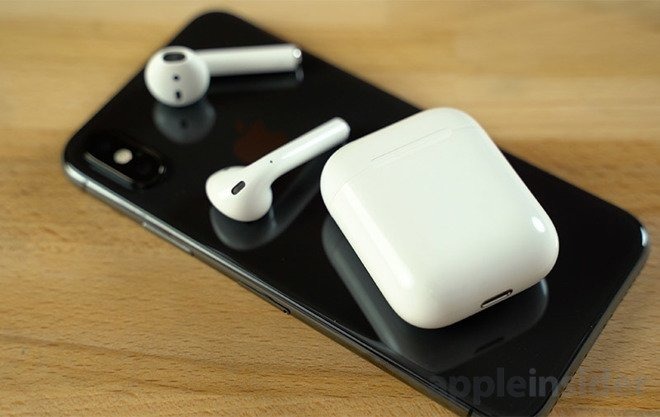 The upgraded AirPods wireless charging case was announced alongside AirPower during Apple's September 2017 iPhone event in the Steve Jobs Theater. Neither product has shipped — though they aren't technically late — which has fueled much speculation about their abilities and price points. Some have questioned whether or not this wireless charging case would utilize standard Qi charging and work with any wireless charger, or if it would be a proprietary subset of Qi, and only work on AirPower. But the answer is pretty clear — of course it will work with any Qi charger. To me, this is a pretty obvious conclusion. Let's walk through the reasons why. Apple has long been the target of criticism of the closed off "Apple ecosystem" where certain features only work if you use other Apple products. Think AirDrop, iMessage, or even Apple's own proprietary Lightning charging cable. Arguably, most of these features are only limited for certain reasons. Apple opted for Lightning instead of Micro USB because non-certified third-party cables were less reliable, non-reversible, and were less secure. AirDrop is kept onto platforms they control the software on such as Macs, iPhones, and iPads so they can be sure that it works. Something like iMessage is a big feature meant to drive sales of devices in the Apple ecosystem. Locking in a niche product such as a charging case for a pair of Apple earbuds to help drive sales of another niche product doesn't line up, especially when Apple has been promoting other wireless chargers such as those from Belkin and Mophie. Limiting something as minor as a wireless charging AirPods case to solely work with AirPower is nonsensical. They achieve nothing other than garnering a wave of bad press. Apple often prides itself on simplifying products and makes ones that they can easily described as "just work". It would cause a needless amount of confusion in the marketplace if they were to release a wireless charging case for AirPods that only works with AirPower. In that world, you'd have iPhones that work with any charger, Apple Watch that works on the charging puck plus Apple's wireless charging pad (and a few other Qi pads), then an optional AirPod case that only works with Apple's charging mat. Most likely scenario? iPhone works with all wireless chargers, AirPods work with all wireless chargers, and Apple Watch (eventually) could possibly work with new wireless chargers using a future Qi standard. They of course gain certain benefits from using AirPower over others, but consumers still have options.. When Apple debuted AirPower, Phil Schiller stood on stage saying that they were launching AirPower because they believed they could do things that no one else would be able to do. Coming up on a year later, no one else has come close to releasing a product mirroring AirPower's capabilities (I guess that includes AirPower itself). Looking at the current Qi standard, if solely relied on, AirPower wouldn't exist. Apple has instead built on that to develop AirPower, a Qi charging pad powered by USB-C that is able to charge three devices simultaneously. It is able to detect when a device is placed and power it with no issue. That includes the Apple Watch (Series 3) that utilizes a special version of Qi and doesn't require the normal charging puck. Schiller said that as a member of the Wireless Power Consortium, they will be sharing their changes with the goal of integrating their work into future Qi standards, allowing others to create similar chargers. By that logic, why would the AirPods wireless charging case solely support AirPower? AirPower is just a forked version of Qi that Apple has been openly in support of others being able to utilize. All of AirPower's special sauce has to do with device detection, power delivery, and the Apple Watch rather than a simple Qi coil in the back of the AirPods case. But Apple Watch uses a proprietary charger! It is true that Apple has a history of proprietary chargers, such as the puck for the Apple Watch. Since they required Apple Watch to stick to Apple's own charger, it wouldn't be crazy to think they'd do a similar thing with AirPods. Again though, AirPods are already a minor accessory by themselves and can easily charge via Lightning. The number of users who would opt to pay the rumored $69 to be locked into Apple's own charging pad would be pretty minimal. Apple has also been more open when it comes to wireless charging. The iPhone 8 and iPhone X supports any Qi charger, and as I mentioned, the Series 3 Apple Watch supports a slightly tweaked input allowing it to work with AirPower, and possibly others in the future. At the moment, a few Qi chargers already are capable of charging the Series 3 Apple Watch, however unreliably. Once Apple works to integrate their Qi specifications into the standard, we could see many more properly adopt this. Locking down AirPods wireless charging would be an odd step backwards. Rumored for Apple's September iPhone event is a new version of AirPods that support "Hey, Siri", as well as possibly the long-awaited release of the AirPower mat. 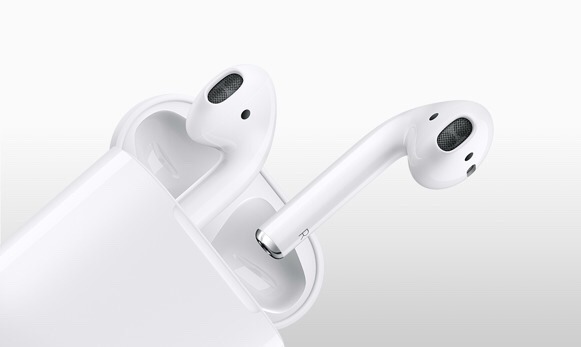 There is still plenty unknown such as whether the new AirPods will bundle the wireless case, or if it will remain an optional add-on accessory. 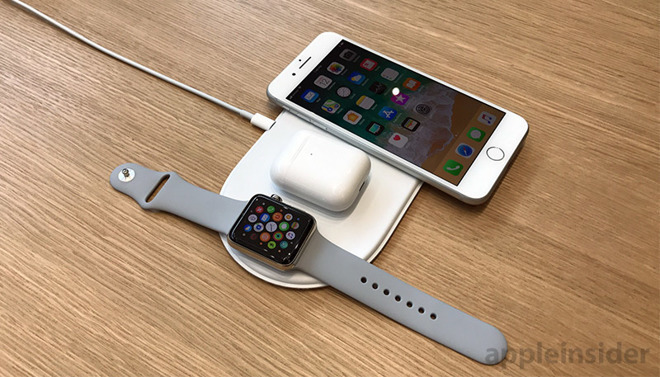 When Apple debuted AirPower, the Wireless Power Consortium trumpeted the release, praising Apple for paving the way towards providing "ubiquitous access to wireless charging". AirPods working only with Apple's proprietary charger would be in direct contradiction to that. When it comes down to it, if Apple didn't limit the iPhone to AirPower or authorized "Made For i" wireless chargers, why would they do the same to AirPods?